If there is one thing our American society does well, it’s spending money. We buy the most bizarre and unnecessary things, whether they be for just a couple dollars or a couple thousand. We can devote so much time and effort to sports, television, and Facebook but the one thing we fail to do is properly budget our money. We are all at fault with this one. Just think of that Caramel Frappuccino you bought this morning. Maybe there is nothing wrong with it because everyone loves a good cup of coffee, but I bet you didn’t put that in your monthly budget. ​ I’m sure you have heard of a budget but may have never used one, at least not properly. As a matter of fact, according to recent studies only 41% of Americans actively use a monthly budget to manage their money. This happens to be an increase from the mere 32% of Americans that used one back in 2013, which is improvement, but not enough. I’m sure you can see the problem here; more than half of us don’t take the time to look at where our money is really going. And if we don’t have a clear picture of where our money goes, it’s safe to assume that we don’t have very good goals set for our savings and for our future. Here in New Mexico we rank 44th in the nation in personal savings rates. If we’re not saving money, it means we’re not properly managing our money. However, a simple budget that tracks and monitors all your monthly expenses can change that. Budgets remind me of the gym on January 1s; everyone is showing up trying to stick to their New Year’s resolution and better themselves. These amounts of people have Arnold Schwarzenegger clapping but then two weeks later you just have the regulars again. It’s the same way with budgeting, a lot of people commit to a budget in the beginning but fall off shortly after. They either broke their budget in the first month with that big impulse buy, or they procrastinated in month two and never went back to review their spending from the previous month. 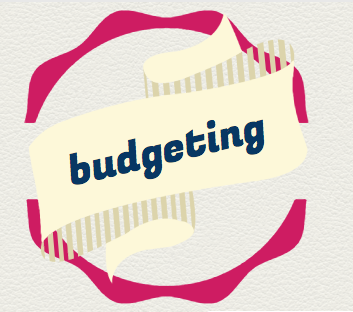 The reality is budgeting isn’t hard, but it also isn’t easy. It takes commitment. But taking an hour each month to do the work, and having the willpower to stick to your plans can pay big dividends for your future. Take some time to read through our materials we’ve shared with you, and make the first step towards better managing your money. Build a budget, set some goals, and see where it takes you.